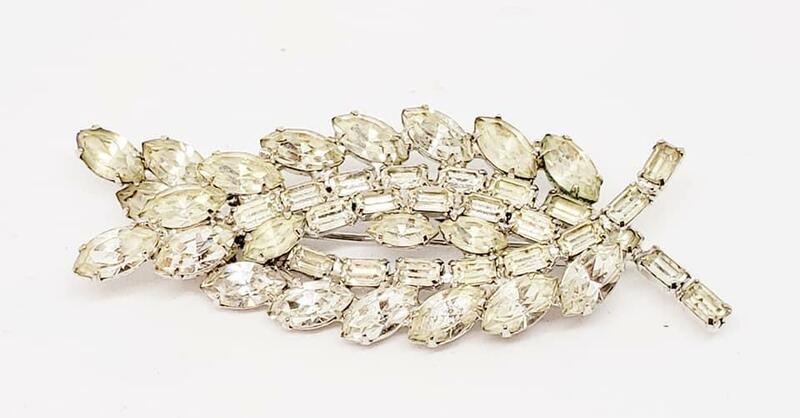 Beautiful clear rhinestone pin by Alice Caviness in the shape of two feathers crossed. 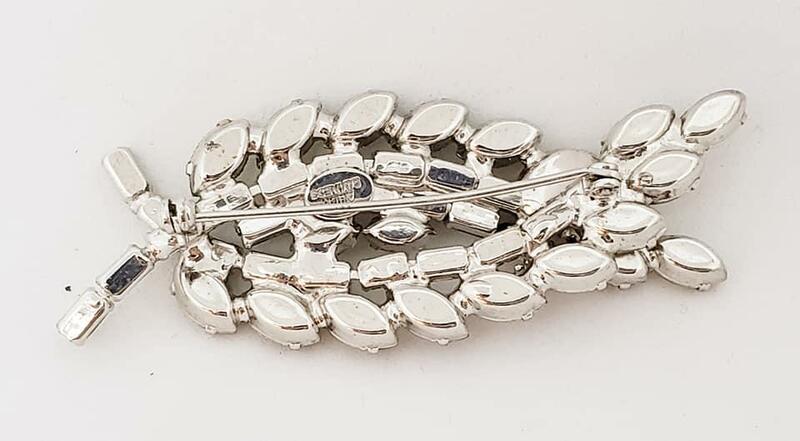 This pin is in great vintage condition. 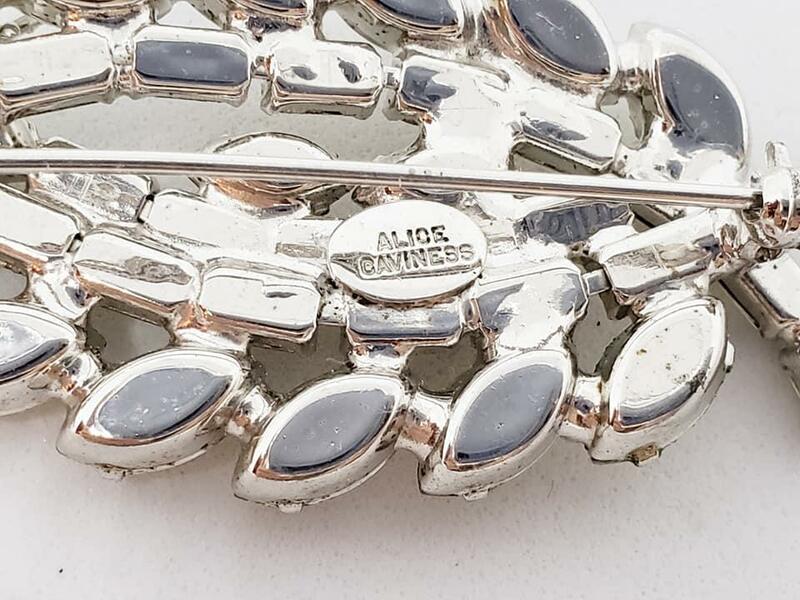 Items Similar To "Vintage Alice Caviness Crossed Feathers Rhinestone Pin"